BookToday has a wide selection of accommodation close to the NIB Coolangatta Gold. The NIB Coolangatta Gold is the toughest Ironman and Ironwoman race on the surf sports calendar and it is back in 2010 on the Gold Coast. An unrelenting test of endurance, the ultimate test of torture, battling unforgiving conditions â€“ it takes the more than physical fitness to compete in the nib Coolangatta Gold, it requires the burning desire within. 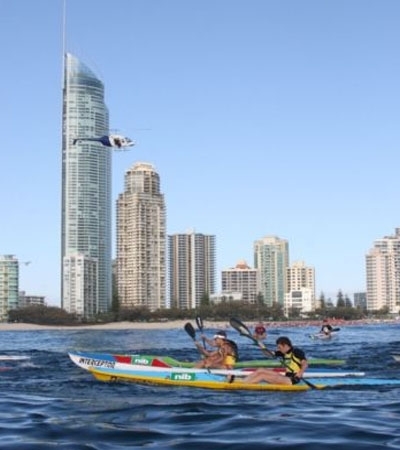 Held right along the Gold Coast, competitors are forced to ski, board paddle, swim and run, with the mens course held over 46.65km and the women and juniors battling it out over 30.5km course.